For starters let me tell you that up until a week ago I had no intention to blog about this country . This was a tough decision, but as I was trying to pick a country to blog about this happened. A spur of the moment weekend trip to Sri Lanka to surprise & startle my best friend who lives in Dubai and was on a forced trip to Colombo to renew her passport. The travel junkie that I am I have to be honest and confess that though this was just a short women’s day weekend trip I have traveled for both work and pleasure several times to this godly country. Each time exploring a new spice & flavor to the island. Now whether you choose to make a quick halt for a day a two to this beautiful piece of heaven or decide to stay longer you will find details of What, Where and How to…….. 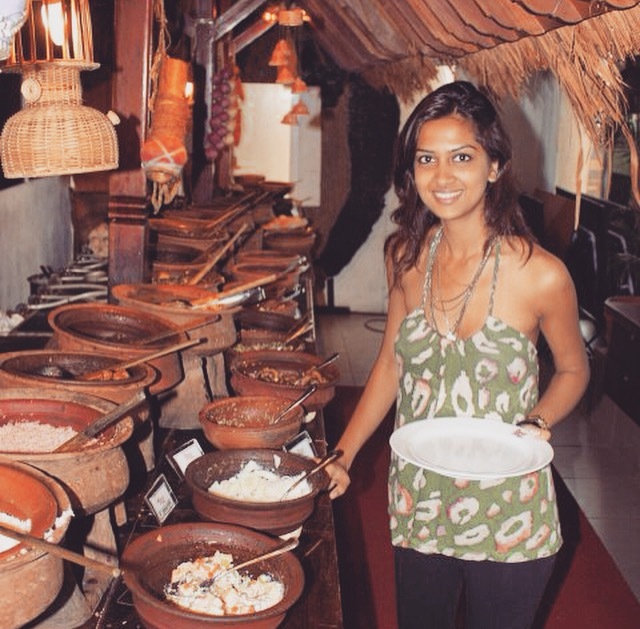 When in Sri Lanka. So you’re having a long never ending week at work all you want is a holiday. You look up all the sunny island countries to escape to and then you choose Sri Lanka. Just looking at the pictures online puts the ‘Happy’ back in your heart and all of a sudden the world feels like a better place to live in. Ok!! Let’s skip all the dramatics of the situation and get right to business. Tickets booked out and in hand your sweet escape is just a few days away! Now planning your trip is easy as most Asian countries have visa facilities available online. A Sri Lankan Visa can be obtained for $ 15 from http://www.eta.gov.lk/slvisa/. Advice you to not use any other websites as the process is longer and expensive. The website listed above is the official government website and you should be able to obtain your visa in 15 minutes max. using a credit card. Step 1: You change money just outside the arrival hall at the certified exchange vendors. They are safe and will get you going in no time making you feel wealthy and rich. Don’t get carried away with your new found prosperity just make sure you have the right amount that is due to you. Step 2: You book a local government taxi placed at the start on the right side of the exit. There is a flat rate to 2500 SR for non-air condition & 2800 SR for air conditioned transport to the city. The cars / vans are pretty spacious for luggage so commuting should definitely be stress free. You might want to tell you driver to take you through the newly built highway that gets you into the city in 45 min tops. The toll for the ride is an additional 300 SR which is $2 🙂 Avoiding this will leave you stuck on the road for an easy 2 hrs. taking away much of vacation time. Trust me I am talking from the experience of utter gruesome torture. Step 3: If you land in the morning and once you have checked in try and get your hands on a Sri Lankan breakfast which should include the amazing string hoppers served with chicken curry or a vegetarian option whatever tingles those taste buds. Well yes you heard me right! You’ve just landed yourself in spice haven what else do you expect? 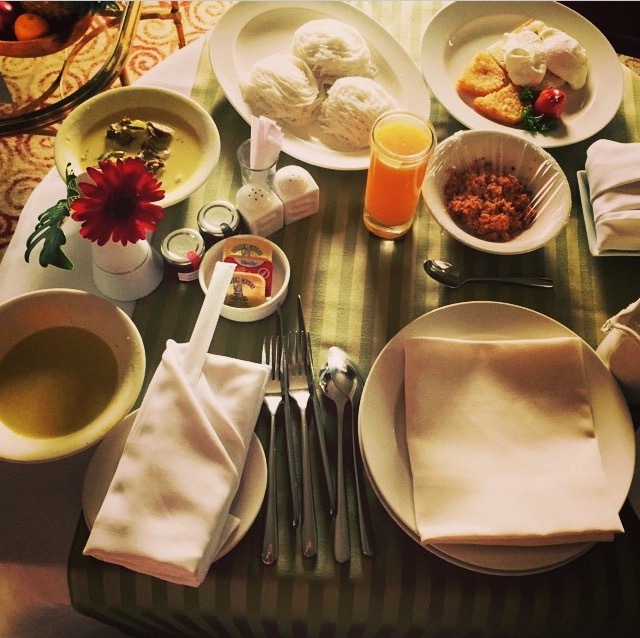 It does come with a fresh orange juice or coconut juice served in the fruit itself which for sure puts me straight into vacation mode and helps soothe that slightly burnt tongue. It’s no must that you do, however like the saying goes when in Rome do like the Romans! Step 4: Relaxing by the pool right after breakfast is a good idea if you are unable to catch up on a quick nap of course because from then on it’s a busy day of site seeing. Colombo is a small city with most of the tourist sites located in the center between Colombo 3 to Colombo 11. – Take a tour of the National museum of Colombo – in Colombo 7 then walk in to the Viharamahadevi Park across the road. Enjoy a little midday break like a local. If your alone you might feel a bit out of place as usually there’s a lot of love in the air. Who knows though you might be struck by cupid too! ….Then once your done devouring on an ice stick from one of the cycle ice cream vendors to stay cool on a typical hot humid day hop into a Trishaw a proper name left back by the British for what’s more popularly known in other countries as the tuk tuk. (Note – ask for the meter to be turned on and do not fall for the oldest trick in the book of no change that leaves you back to square one paying twice the amount indicated on the meter) Head to the Dutch Museum in Colombo 11 for a quick tour of the Dutch colonial era. History is a beautiful thing it helps us understand how we all got here in the first place. Now I have chosen to end this trip at the sea side – Galle Face but let’s leave that for sunset shall we? Colombo boast of many beautiful temples however I recommend you drive a few miles away from the city to view this magnificent temple called kelaniya raja maha vihara. 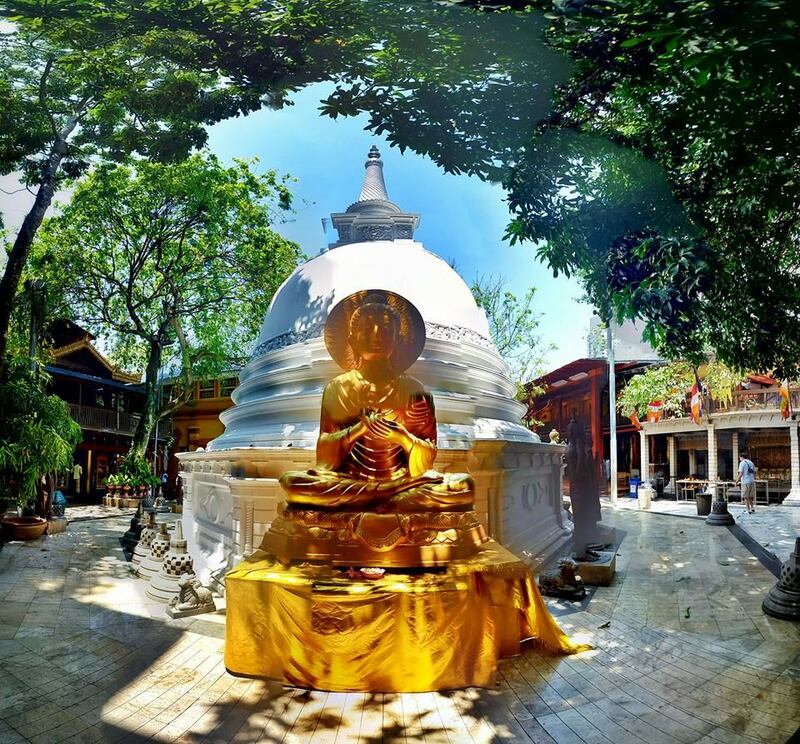 I definitely suggest this place of worship over the famous Gangaramaya temple that is known to receive plenty of donations from the rich and famous of the city. It is not impressive and the priest charge entry based on where you hail from. I promise! 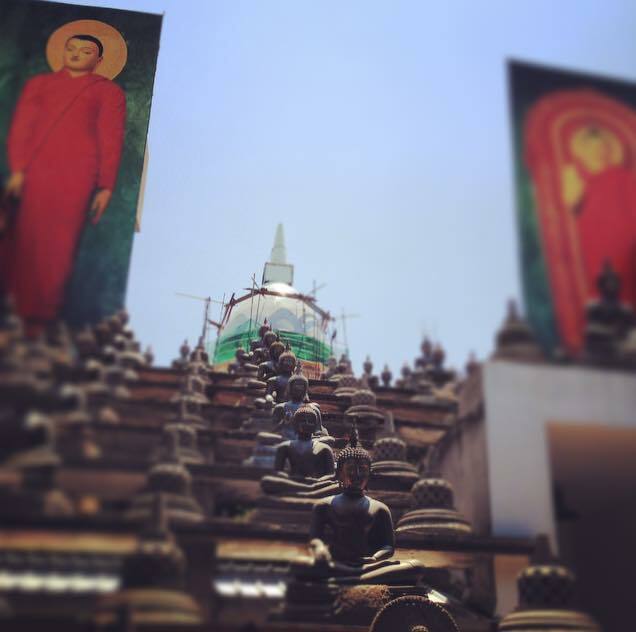 you are more likely to find the peace, calmness & serenity of a Buddhist temple at Kelkelaniya Raja Maha Vihara . To end the city tour hop into another trishaw and head over to Galle Face. Here you will witness the common Sri Lankan man finding his solace In his family at the end of a hard day. You can watch little children fly dragons that turn rattle and change colors spitting out a crimson orange as the sun calls it a day and heads over to another wonder land. After all that city hopping and a long exhausting day hunger pangs hit you . All you need right now is a good meal. Beach Wadiya: This place has an old charm about it. It feels like time hasn’t flown by and as if we were still stuck in a day an age that found only the fisher folk survive in and around this town. The entry to this restaurant is an unusual one. 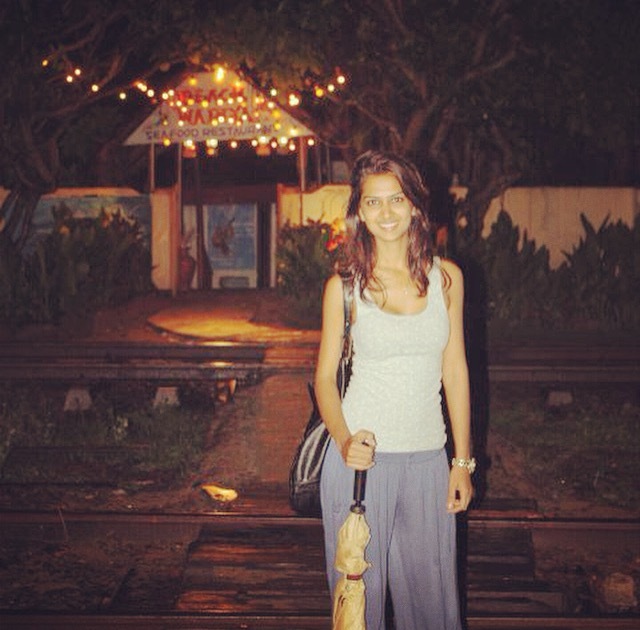 One that involves crossing railway tracks. Don’t you worry for one the track is inoperative and there is someone to guide you to the entrance and help you cross the tracks as soon as you get off your tuk tuk. If it happens to be raining which is not rare given the climate he will even have an umbrella to make sure you stay dry enough to enjoy your meal. Flanked on the other side of the tracks you will see this small little dilapidated shack bang on the beach. As you enter you hear the waves hit the sea bed as if happy to see you walk in they decide to clap their hands. This restaurant has some of the best fish in the city. Fresh catch of the day grilled, steamed or curried to perfection. Placing an order feels like telling your mum what and how you want your dinner cooked tonight. Remove your shoes sink your feet in the sand , order a chilled locally brewed Lion beer and enjoy the ambience while awaiting your delectable meal. Lagoon : If you’re feeling a bit rich and generous towards you tummy walk into Lagoon – a fish Market styled restaurant located at the Cinnamon Grand, Colombo 3. 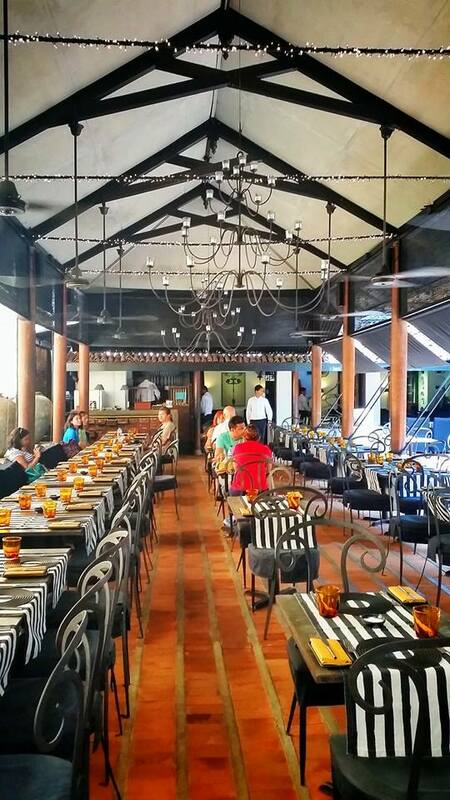 This restaurant has been listed on Colombo’s finest several times. Stepping into this restaurant will give you the feeling of walking into a local fish market only a lot more fancier than what you may be used to. Pick the fish that looks most appealing to you and ask for it to be cooked the way you like. A good selection of wine will get you in a mood to enjoy the rest of the night if you still have the energy to step out that is. 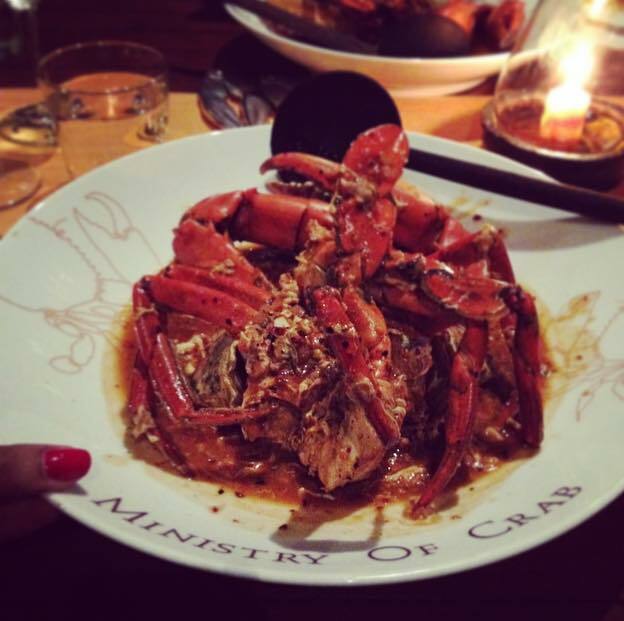 Ministry of Crab – Started by two world famous cricketers with a secret passion for cooking and quality food. This place is tucked in at the Old Dutch Hospital Bank. Serving some of the best export quality crab I have to admit this place is a must eat at for all crab lovers. High Ceilings fans exaggerated flower vase’s and everything orange is what you will find here. Busy all through the night first reservation starts at 7:00 with a max time of 2hrs and a half per table. With lots of attention to detail at this place you have lots to tweet and instagram through the night. Hit by extreme exhaustion I recon you want to call it a night and dive straight into bed. Tomorrow we drive down south all the way until the tip of the island exploring the many beach towns spread across the west coast . * Stay Connected – Pick up a free Airtel sim card at the airport arrival hall.